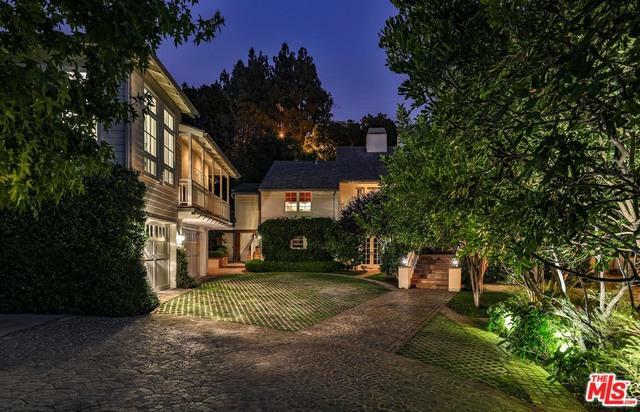 A gated Brentwood Park estate with gorgeous grounds for outdoor entertaining. 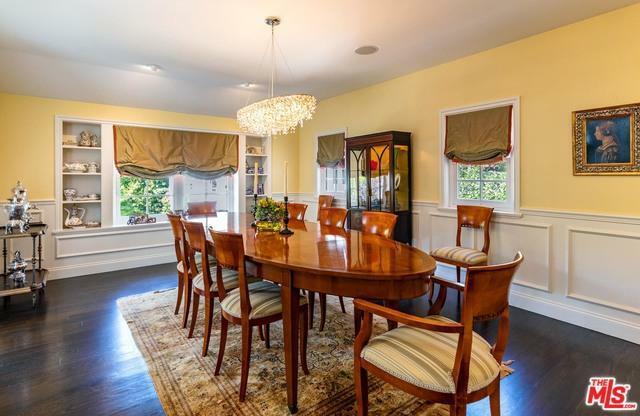 An inspiring New England style home with captivating livability. Hardwood floors, crisp crown moldings, fashionable details. 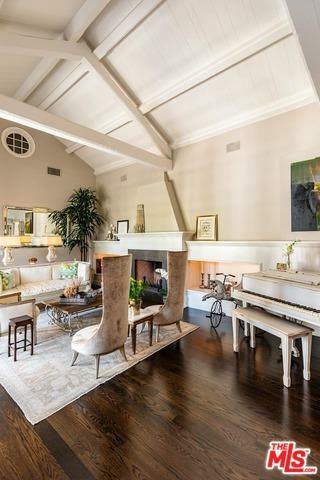 Stylish living room with vaulted ceiling and formal dining room. The heart of the home is a beautiful NEW gourmet kitchen with state-of-the-art features, adjoining a spacious family room. The downstairs master suite has a romantic sitting room. An inviting and surprising bonus for everyone is a large pub room and a grand party lounge with a fireplace, which open to dazzling outdoor entertainment areas. The grounds are amazing. 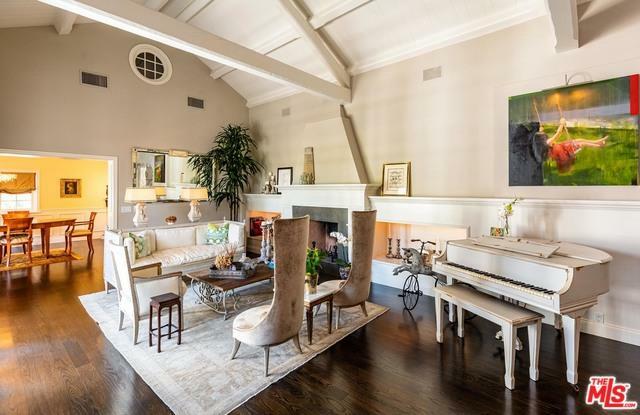 An enchanting fireplace, with wrap-around built-in seating, is a fascinating focal point that draws one to the expansive terraces to lounge in the sun or enjoy cocktails by the warmth of the fire pit and dinner in the moonlight. There is a spa, 56-foot lap pool and a guest house with 2 bedrooms. A great property ideal for many lifestyle needs. Listing provided courtesy of Mary Lu Tuthill of Coldwell Banker Residential Brokerage.